Worked as Assistant professor in the Department of Mechanical Engineering APSCE Bengaluru. “Application of Distributed Control System in Automation of Process Industries”International Journal on Emerging Technology and Advanced Engineering (IJETAE) Vol II, Issue 7, July 2012. “Application of Distributed Control System to Process Industries”, proceedings of International Conference on Current Trends in Engg. 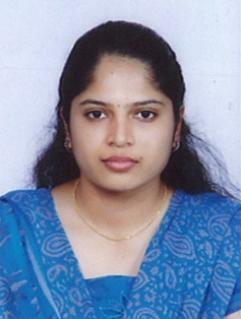 & Management, held between 12th – 14th July, 2012, Vidyavardhaka College of Engineering, Mysore. “Development of Automation Laboratory Using Programmable Logic Controller in a Web-Based Environment”, proceedings of National conference on Innovation and Emerging Trends in Engineering and Management, held on 22nd -23rd March, 2013, Alva’s Institute of Engineering and Technology, Moodbidri. “Fatigue, Durability and Fracture Mechanics”, International Conference & Exhibition on Fatigue Durability held between 28th to 30th of May 2015, IISC Bangalore.